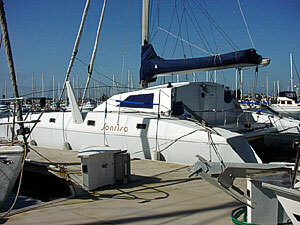 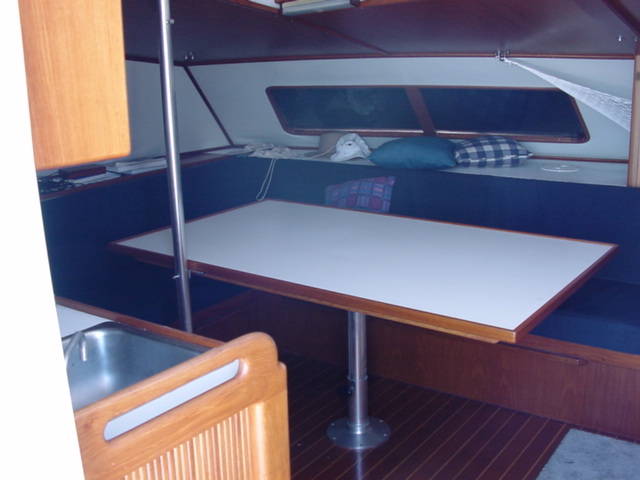 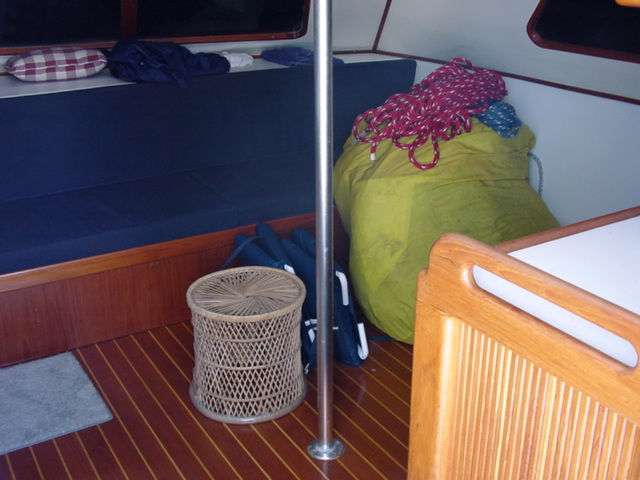 Sonrisa, a 1987 Offshore 40, 39.5' x 24' Crowther design derived from their Super Shockwave. 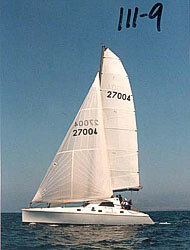 Semi-production U.S. built in female molds, out of epoxy, glass, kevlar, and foam core. 2 berths in each hull, to sleep 6, and a drop dinette in the full cabin for another 2 (8 total). 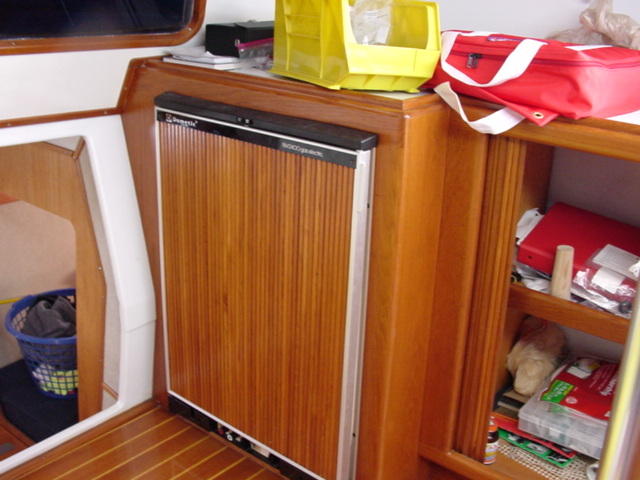 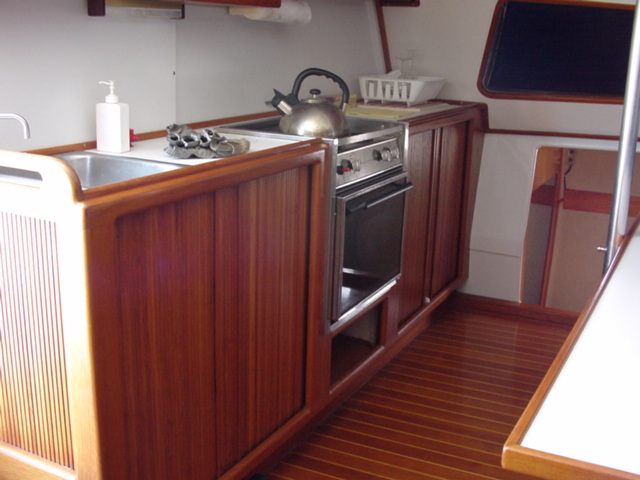 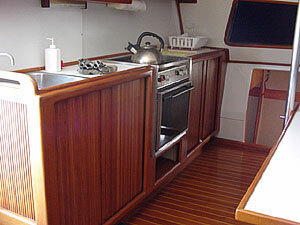 Galley up in the cabin with propane 2 burner range, stove, refrigerator, sink, roll front cabinets, dining table, bench seats, and a teak and holly floor. 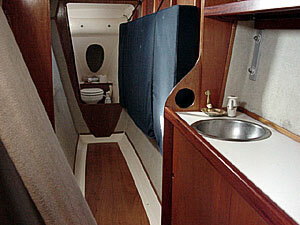 The cabin has 5'8" headroom in the center, with a hard pop-top for another 10" and great ventilation. 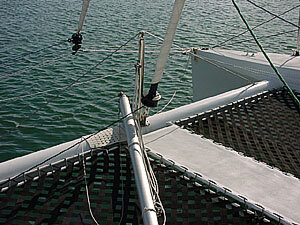 Hull access is from the cabin. 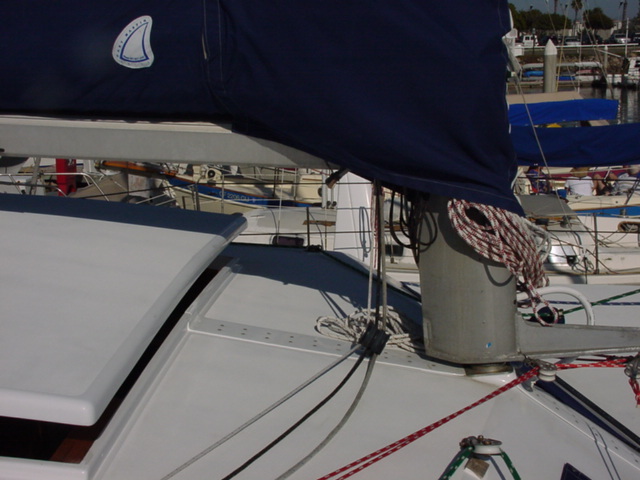 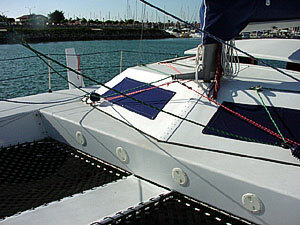 One head in each bow, both new in 1999. 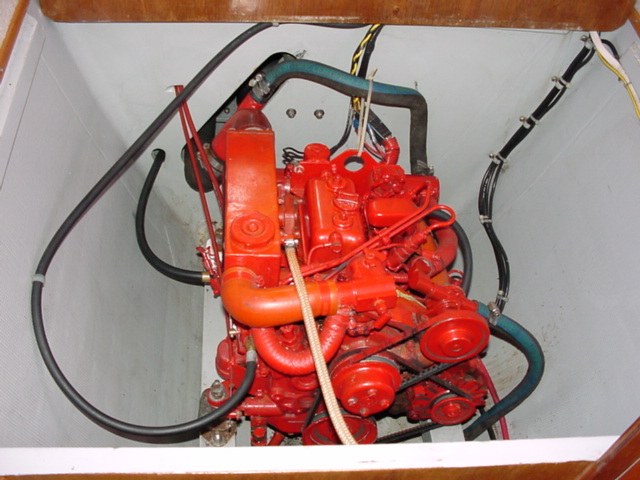 A 10 hp. 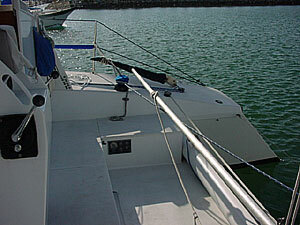 diesel in each hull, driving 2 bladed folding props, she'll motor 48 hours at 7 knots. Balanced spade rudders with tillers. 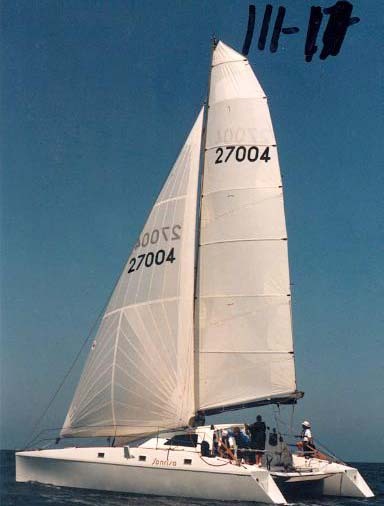 Rigging and sails (Gary Martin) new in 1999, on a 50' rotating alloy mast. 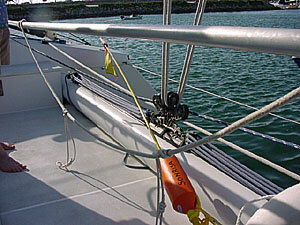 Roller furling jib and screecher. 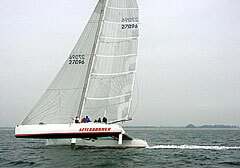 Prod for spinnaker. 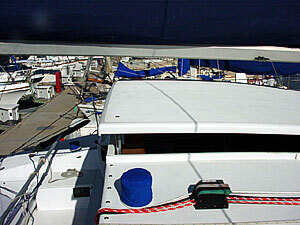 She is demountable and container shippable. 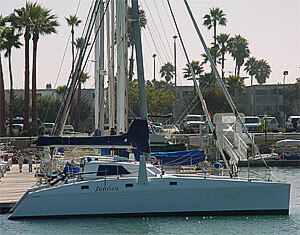 I'm the 2nd owner, acquiring her in 1998. 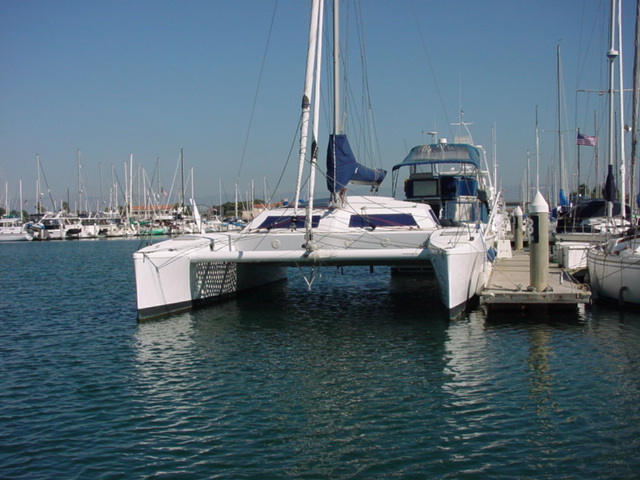 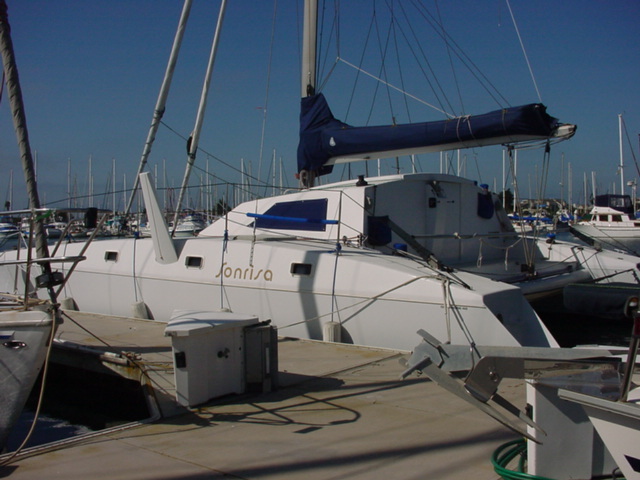 She is in excellent condition mechanically, and good condition cosmetically (Channel Islands Harbor, Oxnard, California). 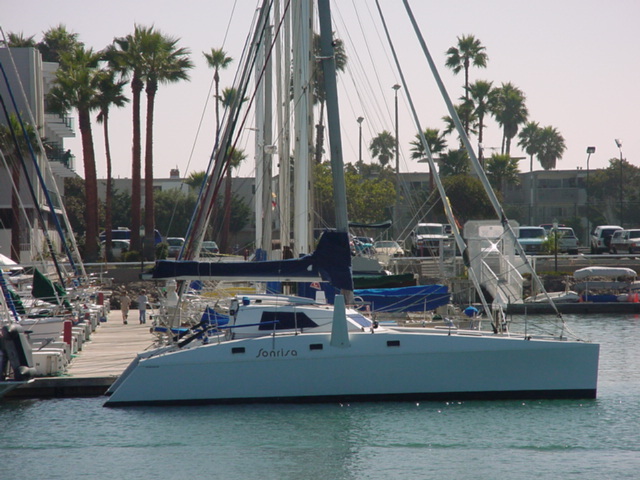 If you imagine a scale with high luxury, high weight, low performance cats on the left (like a French condomaran), and no luxury, low weight, high performance cats on the right (like Afterburner), then Sonrisa falls right in the middle. 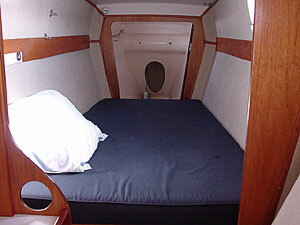 She's light for her accommodations at 10,500 lbs (fully loaded), but modest on luxury (no AC, hot water, washer & dryer, etc.) 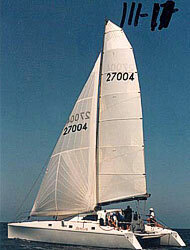 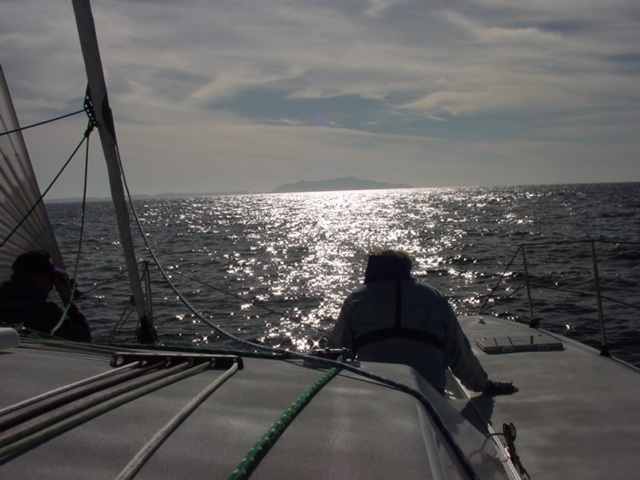 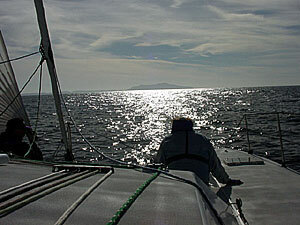 She sails well, topping 20 knots at least once a year, lots of time in the teens, all dependent on wind of course. 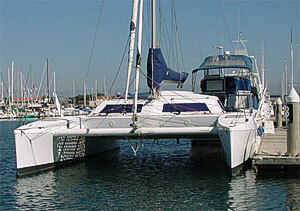 I don't think she is especially well suited as a livaboard, or world cruiser, due to modest payload capacity. 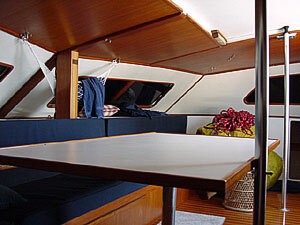 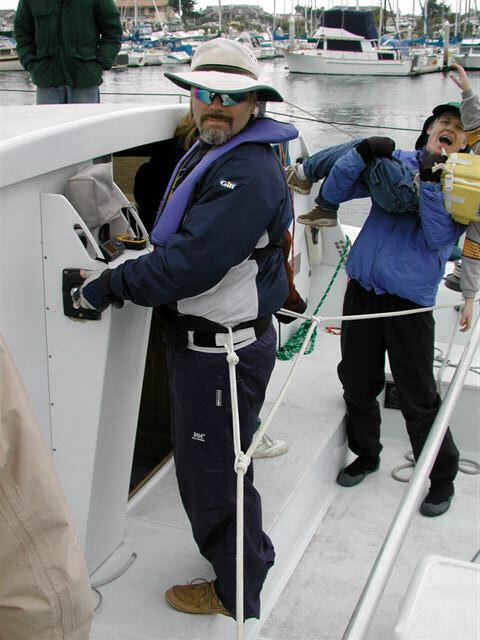 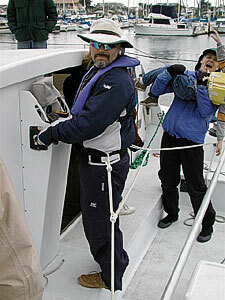 But she is a great daysailer, weekender, or week trips, where sailing performance is a consideration. 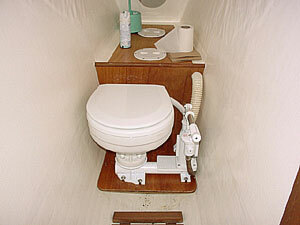 Kooks Rule. Or Do They?